The property at Up the Creek Farms is the original homestead of one of the area’s first pioneers, Ernest Svedelius. 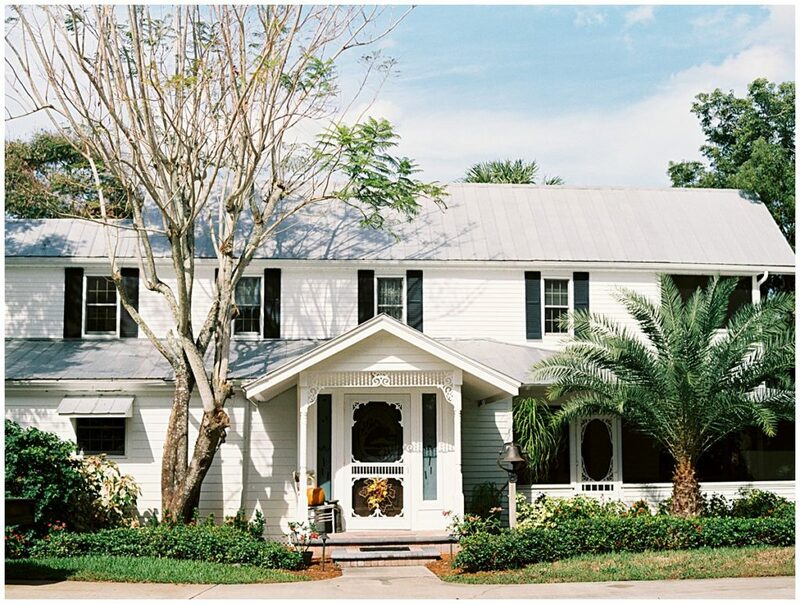 Ernest migrated from Stockholm, Sweden to the east coast of Florida and built a two story frame house in the 1870’s. He began an orange grove and started a wholesale fish camp at the head of the creek that runs the length of the property to the Indian River Lagoon. Svedelius is purported to have named the town of Valkaria after Valkyre, a maiden of Norse mythology. Through many years of different owners, the house fell into disrepair. In 1984, the Tuten family acquired the property and repaired the old farm house enough to raise two kids and lots of animals for the ensuing 29 years. In 2013, one of those ‘kids’ returned to the home with a vision. 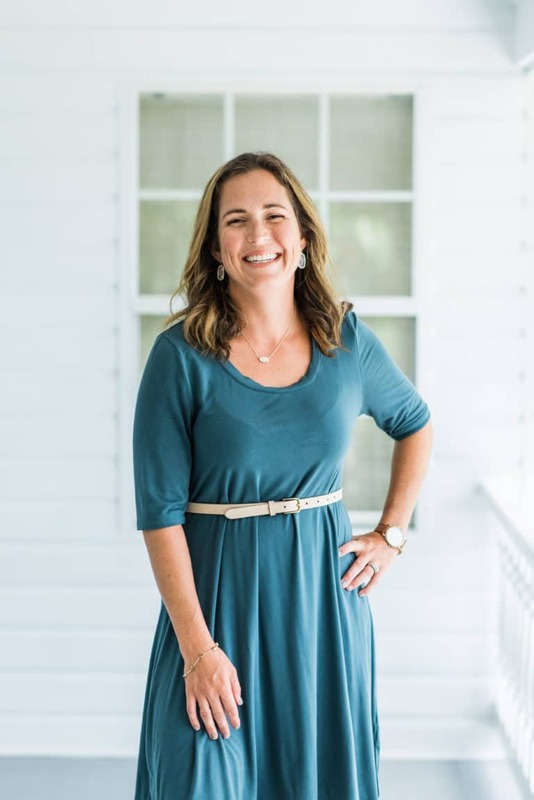 Transitioning from a catering and restaurant management background, Jessica Tuten, brings her knowledge and passion for event coordination to a new level. Recognizing the beauty and envisioning a space to share with others, work began to update the homestead into a Bed & Breakfast. With an appetite to entertain, the scope of the project expanded into including a wedding and special events venue. Up the Creek Farms clients are welcomed as friends and can expect nothing less than extraordinary with our facility and grounds. 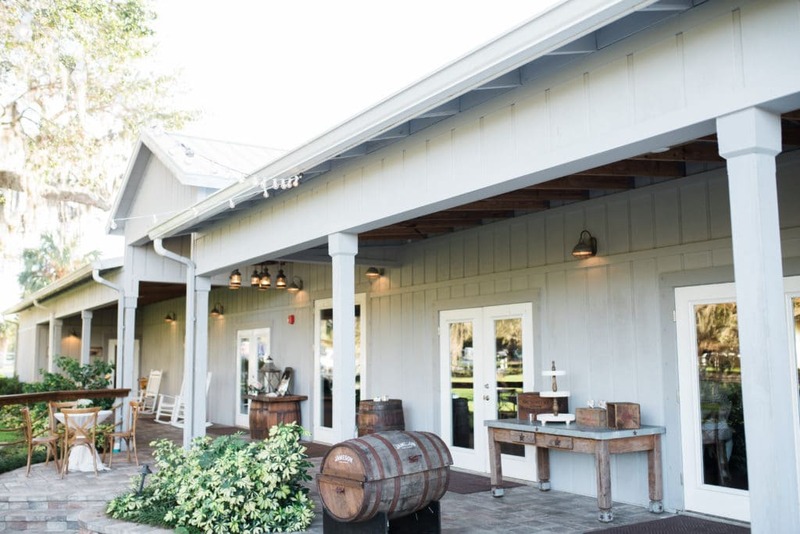 Southern and charming, Up the Creek Farms offers a unique setting for wedding ceremonies, receptions, bridal showers, rehearsal dinners, as well as corporate events. 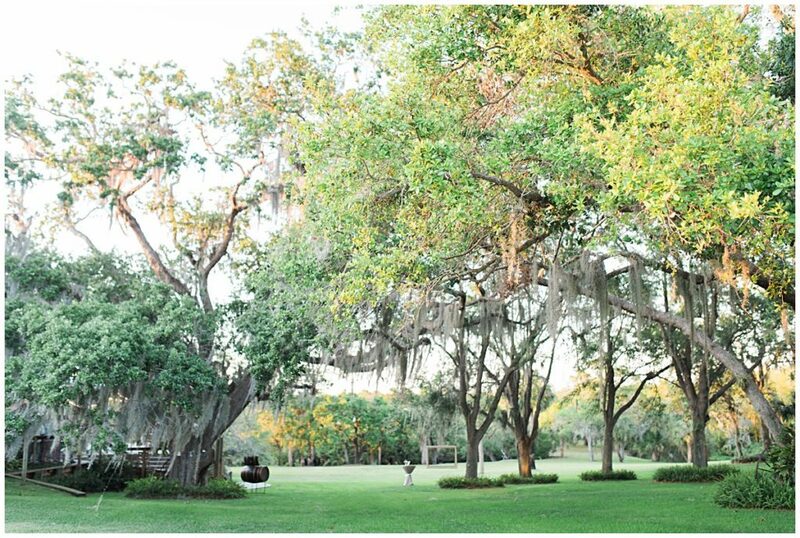 Situated on over eight secluded acres, Up the Creek Farms epitomizes Old Florida’s charm. Classic white post and rail fencing line the property giving a southern plantation feel. Landscaped and manicured flower beds and paths wind around the lawn and the 140 year old Decklan House. Century old oak trees surround, standing tall and stately, Spanish moss draped from their branches. Look anywhere and spot iconic Florida wildlife from singing Scrub Jays to Ospreys and Sand Hill Cranes. Underwater natives living in Goat Creek, an estuary to the Indian River Lagoon include manatees, turtles and countless species of fish. There are many locations to choose for a romantic and intimate wedding ceremony. Set up a game of corn hole on the lawn during cocktail hour. Followed with a Boathouse reception – a barn designed to feel outdoors with great views of the property, with all the amenities you would want for such a special day. 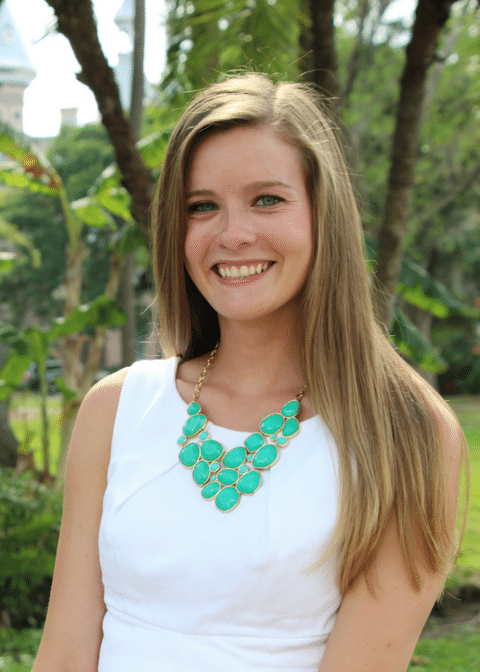 Jess studied at Jacksonville University majoring in Marketing and Business Management. 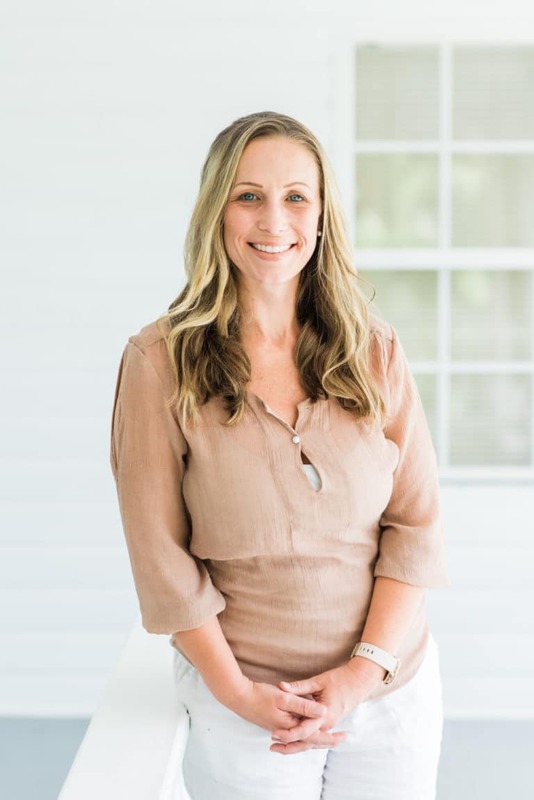 Her background in hospitality combines restaurant management, catering special events, and advertising campaigns in the industry. A vision to expand on an idea brought her back to her hometown. Tim met Jess in college via a rowing rivalry between their schools. Fortunately, the two settled any disputes early by showing feelings for each other. His degree in Mechanical Engineering from Florida Tech in Melbourne, has given him the opportunity to work for the Department of Defense and private corporations in various engineering roles. Overseeing the day to day operations at Up the Creek Farms, Tim enjoys taking care of the maintenance and landscaping at the farmhouse and considers it a labor of love. Favorite memory from my wedding: Having my Grandmother there….aaaand my packed dance floor! 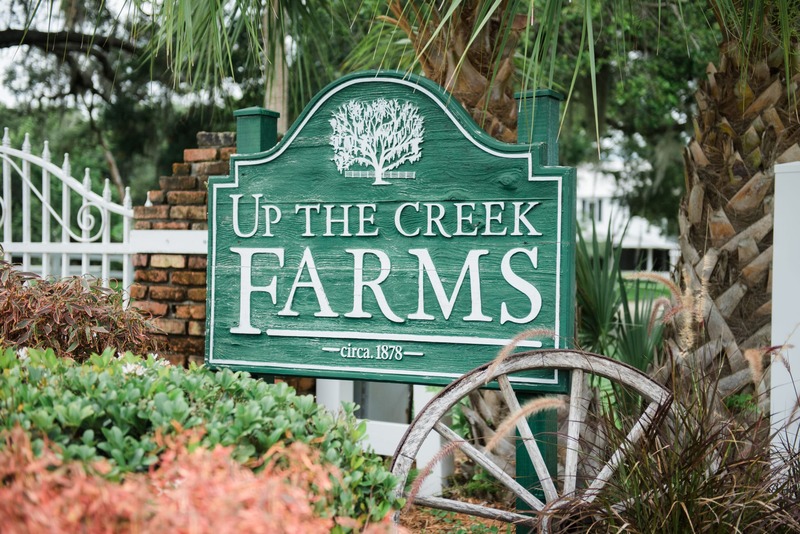 How I came to work at Up the Creek Farms: I heard of UTCF when my family told me about this new venue that one of our family members was working on so I reached out. Jess and I met from there it was as if we had known each other for years. I knew it was a magical place with owners who have hearts of gold. I started planning weddings there and had the opportunity to plan and design the wedding of Jess and Tim and was so grateful for that special role. Now on board to design for future UTCF clients! Favorite part of the wedding day: I love when clients see their reception space for the first time before all guests get to see it. For many it’s very hard to visualize how every concept will come together so for them to see everything they’ve trusted me with for months come to life and then those small surprise elements we throw in—-makes all the hours so worth it! What I do in my spare time: I am a mother to 3 kiddos so any time I have is dedicated to them and my husband of 10 years….oh yes and HGTV, and anything having to do with gardening and the beach and the pool…the list goes on- life is all about balance so though I take my “work” seriously, I take my personal life seriously as well. Dream vacation: I am not a fan of flying but my heart has always wanted to go to Oregon and Colorado (adventurous right?!). You would be surprised to know: I received my Bachelors Degree at 20 years old. My goal is to live on a farm with cows. Quote I live by: Life isn’t perfect but it is still beautiful. 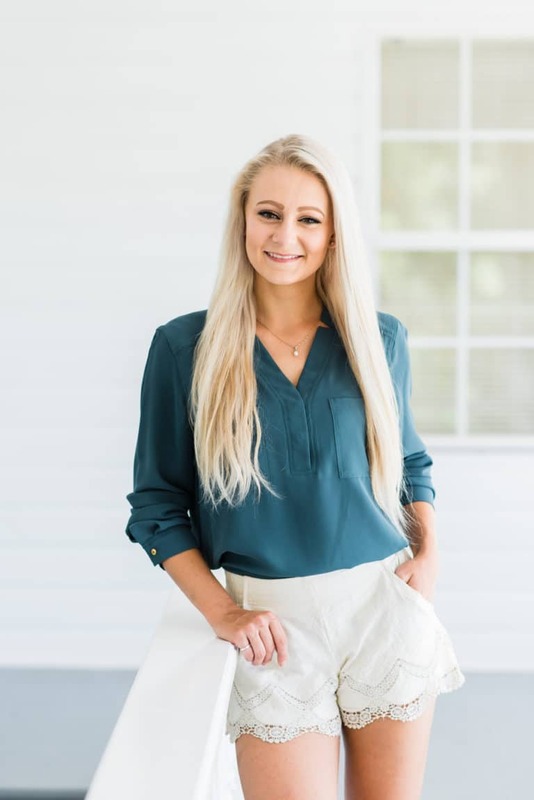 How I came to work at Up the Creek Farms: I went to college in Orlando, had a job there and soon realized that I hated city life. I wanted to move back to where I grew up. I found Up the Creek Farms and instantly fell in love! Favorite part of the wedding day: Sending the Bride down the aisle, bustling dresses and watching the first dances. What I do in my spare time: Take care of my chickens, ride horses, hang with family and anything outdoor related; camping, kayaking, shooting. Favorite southern dish: Biscuits and gravy!!!! You would be surprised to know: this FL girl is a mad snowboarder. Once a year I trade the beach in for frostbite! 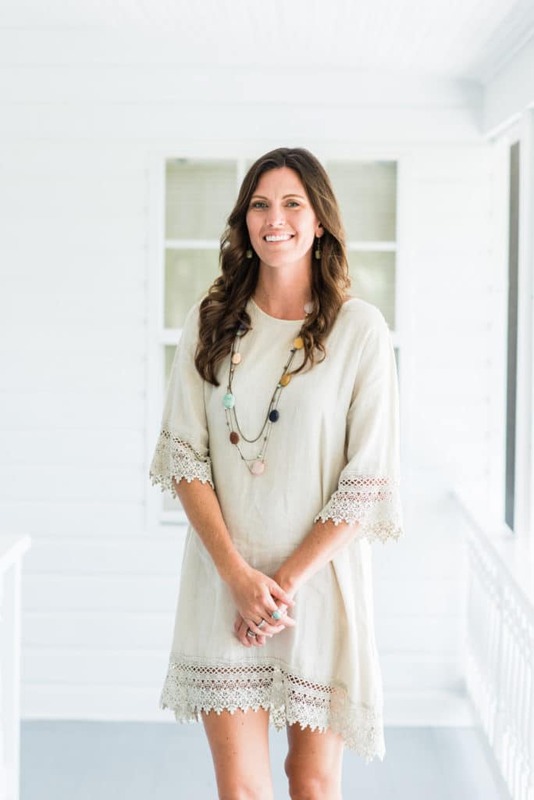 How I came to work at Up the Creek Farms: I moved back from Nashville TN to be closer to family and had previously been involved with weddings up there. I wanted to get back into business and saw how beautiful the venue was. Up the creek is a hidden oasis in a town I had grown up in my whole life. Just being there among the trees, the breeze, the land, all of it makes my soul happy! The venue combined with a degree in Hospitality, a love for weddings, and a passion to serve people sealed the deal! Favorite part of the wedding day: Listening to the toasts. I love hearing how special the bride and groom are to so many people and learning a little more about what makes them perfect for each other. Best piece of advice for a couple: Embrace each season of life and all the change that occurs. What I do in my spare time: I’m a trainer at a crossfit gym, spend as much time outside as possible, and eat unhealthy amounts of sweets! Best vacation spot/dream vacation: Thailand. Anywhere with beaches, tropical water, and warm weather. You would be surprised to know: I was a coxswain for JU’s men’s rowing team. 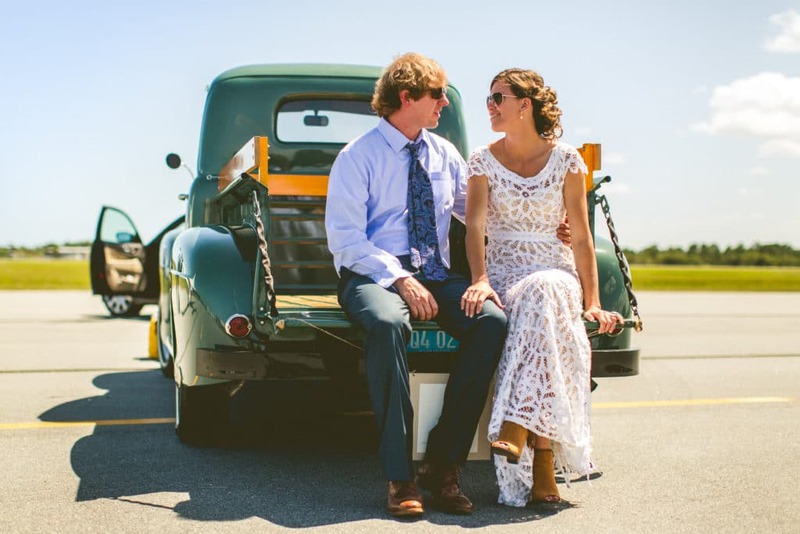 How I met my other half: Mutual friends in Jacksonville. Favorite memory from my wedding: While my Dad and I were waiting to leave the dock a family with two little girls had just returned from fishing. They ran up to me and asked if I was a princess and took pictures with me. It was such a sweet moment bringing smiles to those little girls. How I came to work at Up the Creek Farms: Jess and I became friends in high school. We moved back to the area about the time that they started work on the venue and it all just fell into place. Favorite part of the wedding day: Right after the ceremony when the couple comes back to the Boathouse – I get the first married hug! Best piece of advice for a couple: At the end of the day you get to marry this person that you have chosen, nothing else matters. What I do in my spare time: Negotiate with my 3 year old on why she has to wear socks with her gold cowboy boots even though Moana doesn’t wear socks! Dream vacation: Diving with whale sharks in Belize. Favorite southern dish: Black cherry grits. You would be surprised to know: I rolled down a hill in New Zealand in a human size hamster ball. Quote I live by: Everything happens for a reason. How I met my other half: Both work &amp; surfing caused us to meet! Favorite memory from my wedding planning: I am currently in the planning stages because our wedding is 1/7/18! So far the best part has been booking the honeymoon! 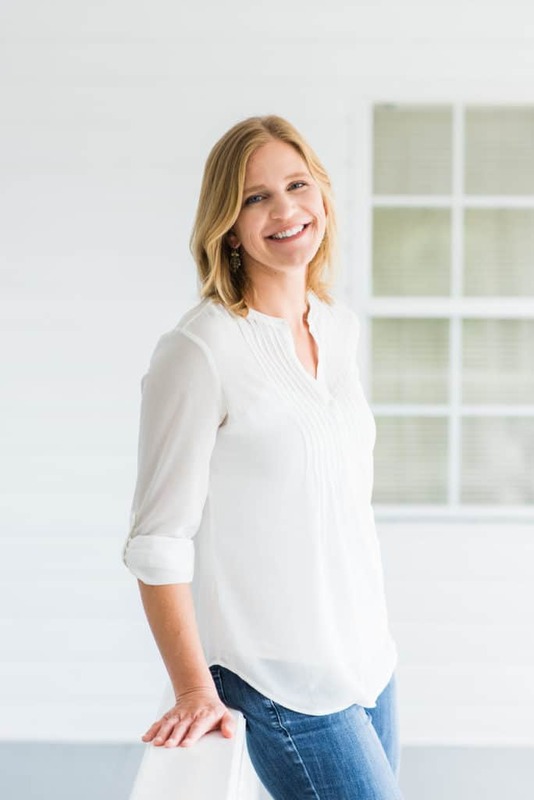 How I came to work at Up the Creek Farms: I found out about Up the Creek Farms through one of the many, many photographers I follow on social media. I thought “there is a wedding venue where? !” & “OMG those photos! I have to see this place!” I had been looking for a weekend job, so I reached out to Jess, got a tour, and started working shortly after! Dream job! Love working with YOUR dream wedding! Favorite part of the wedding day: I have three! 1 – The groom’s reaction during the ceremony, especially when he is (and then when his bride is) walking down the aisle. 2 -The first dance! Butterflies! 3 – The toasts – love to hear the fun & cute stories about YOU! Best piece of advice for a couple: Plan together! It is fun to hear each other’s ideas about the big day. Love my fiancé’s ideas! What I do in my spare time: Beach! Travel/Road Trips! Surf! Best vacation spot/dream vacation: Dream Vacation? Italy! Favorite southern dish: Cast iron cornbread! one of those significant life experiences. How I came to work at Up the Creek Farms: I’m the girl you see in pictures standing on a 2×4 in diapers watching my parents renovate a 140 year old farm house. Years later, we had this crazy idea to share an amazing piece of property, thus the beginning of Up the Creek Farms. Favorite part of the wedding day: When the newlyweds walk into their reception through the barn doors of the Boathouse! Best piece of advice for a couple: Be each others biggest encourager. What I do in my spare time: We love to take the dogs out in the river and let them be labs. Best vacation spot/dream vacation: A tree house in Costa Rica! You would be surprised to know: I hiked the Mendenhall Glacier in Juneau, Alaska. 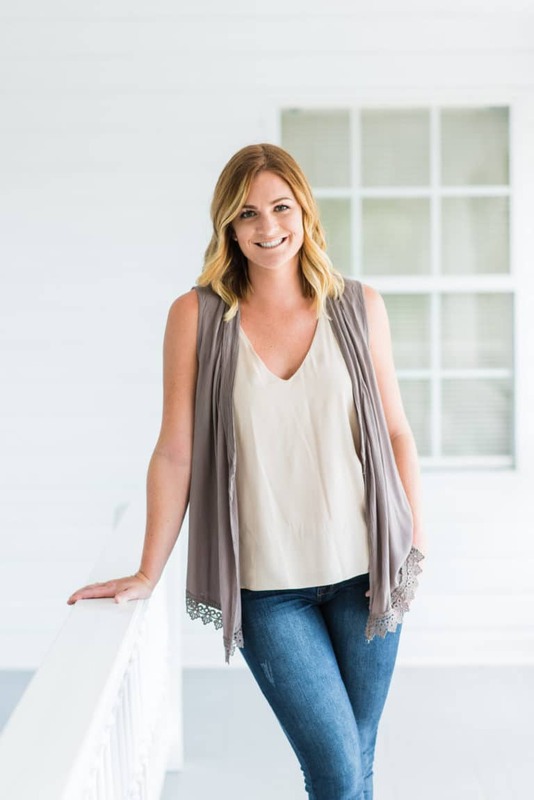 How I came to work at Up the Creek Farms: I fell in love with Up the Creek Farms the instant I laid eyes on it and luckily a family friend knew Jess and got me the opportunity to work these wonderful people! Favorite part of the wedding day: Without a doubt watching the grooms reaction as the bride walks down the aisle. Best piece of advice for a couple: Never stop trying to make each other laugh. What I do in my spare time: Sit on my chair at the beach with a nice book.